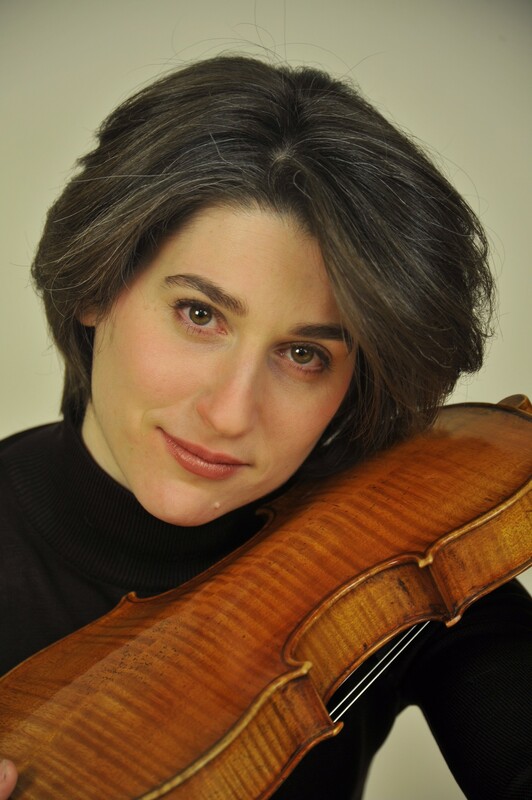 Violinist Sharon Roffman, prizewinner in the 2003 Naumburg Foundation International Competition, made her solo debut with the New Jersey Symphony in 1996. Since then, Ms. Roffman has forged a unique career distinguished by her versatility; she is equally sought after as a soloist, chamber musician, orchestral leader and music educator. Ms. Roffman made her Carnegie Hall debut as a soloist in Vivaldi’s Concerto for Four Violins with Itzhak Perlman playing and conducting in 2004; she has performed all over the world as a guest concertmaster of the Scottish Chamber Orchestra, Swedish Radio Symphony, Orchestre d’Auvergne, and Orpheus Chamber Orchestra, principal 2nd of Die Deutsche Kammerphilharmonie Bremen, and as a guest member with the Australian Chamber Orchestra and Mahler Chamber Orchestra. Ms. Roffman was a member of Orchestre National de France from 2009-2011. As a chamber musician, Ms. Roffman has collaborated with members of the Guarneri quartet, Juilliard Quartet, Brentano Quartet, Shanghai Quartet, Avalon Quartet, and Miami Quartet among others, was a member of the critically acclaimed contemporary music ensemble counter)induction from 2007-2009, and spent several summers performing at the Marlboro Music Festival. Passionate about combining performance and education, Ms. Roffman is the founder and artistic director of ClassNotes, a chamber music ensemble and non-profit organization dedicated to introducing public school students to classical music through interdisciplinary school residencies and performances. In 2015, Ms. Roffman premiered a new concerto by Bruce Adolphe ( I Will Not Remain Silent) with the IRIS Orchestra and Michael Stern conducting, and created The Prinz Project – an online interdisciplinary curriculum and outreach initiative to accompany the concerto. Ms. Roffman was also recently appointed Principal Curriculum Developer for the Australian Chamber Orchestra, created an online elementary school curriculum about the relationship between music and art for ACO, and regularly teaches in elementary schools across Australia both live and via video conferencing. Ms. Roffman is a graduate of the Juilliard School and the Cleveland Institute of Music; her former teachers include Itzhak Perlman, Donald Weilerstein, Peter Winograd, Robert Lipsett, Patinka Kopec and Nicole DiCecco.